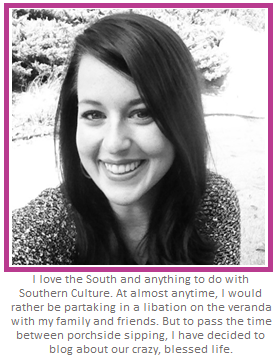 Brandi Nell the Southern Belle: 2012 is going to be a GREAT year! First, I want to thank all of you so much for your encouragement on the half marathon training. The comments, tweets, emails, texts, and Facebook messages are really appreciated! I never thought I would "meet" such great friends in the blog/twitter world, but I also never thought I would be training for a half marathon either so... THANK YOU! In other news: You may have noticed lots of pictures of "minis" on the blog. I am a very, very proud Aunt. I am so incredibly blessed to have so many adorable nieces and nephews. Over Thanksgiving my sweet little three year old niece, Darci, walked in the house and immediately told me she had a secret she couldn’t tell me. She also mumbled something about a shirt and then ran away. Later she reminded me she had a secret and told me she couldn’t tell me, but that I could guess. I just giggled thinking that three year olds are funny. 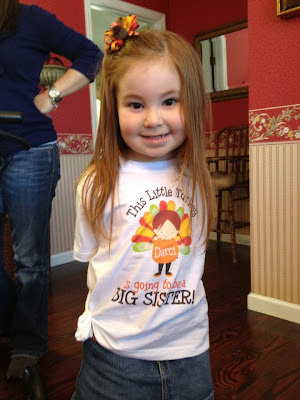 "This little turkey, Darci, is going to be a BIG SISTER!" As you know, my sister (and BFF) Brittney, is having her first child in late April (insert squeal of excitement here). These two little munchkins are going to be weeks apart! How fun is that?!? They are going to have the most fun together. And Aunt Bran is going to have even more fun playing with them. Needless to say, I am pumped about 2012. I also feel like I need to mention that I have a pretty large family. I have two sisters, a step-sister, and step-brother, thus all the nieces and nephews. Darci belongs to Cari, my step-sister. One day, I need to draw a family tree or something with all of the siblings and their minis. 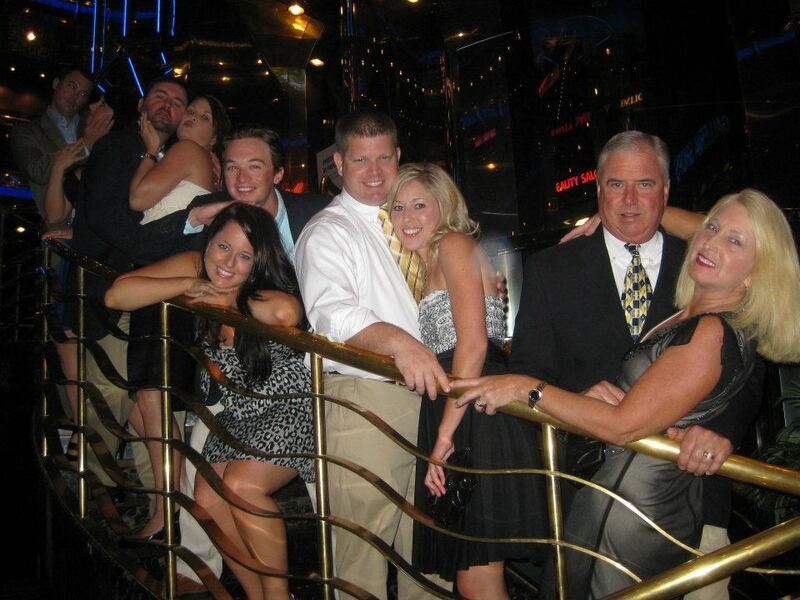 Here is a funny pic of my Dad’s side of the family with our spouses. This was taken on a recent family vacation to the Bahamas earlier this year. (My sister, Brooke and her husband weren’t there). Yes,we are a silly family. As you can probably guess with all of my siblings, their spouses, and their minis – Holidays are crazy busy, loud, and fun. 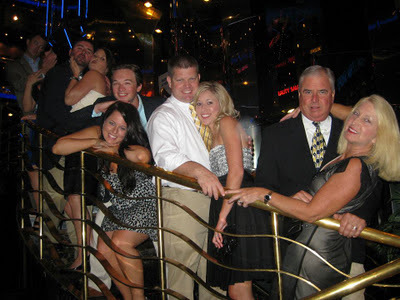 We all teased my father and half mom (We don’t really like the term step-mother. Disney ruined it) that they are going to need to add on to their home to accommodate everyone! It is very possible that they will end up with a dozen grandchildren one day. I hope everyone is enjoying their first day of December. I really want to paint my bathroom this weekend. I hope to have something to share with you on Sunday. Talk soon, friends!